Let your taste buds lead the way on a market tour of Kuromon. With plenty of samples of street food and beloved Japanese staples, you’ll learn fun facts about the country’s cuisine and culture as you go. 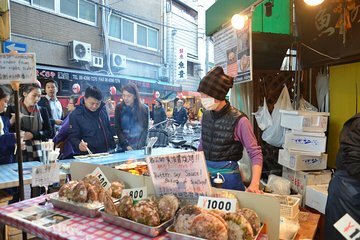 Follow your guide around the market stalls and try Michelin-rated octopus, yakisoba, toro (tuna) sushi, and more. You’ll also hear the history of the vibrant Kuromon Market, which was founded some 200 years ago.